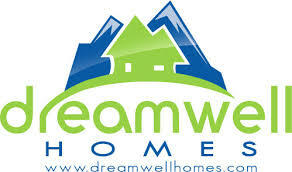 Our DreamWellHomes website specializes on California 55 and over housing with a strong focus on San Diego 55 and over communities and Orange County 55 and over communities. Rest assured that we will point you to all the important links to guide your search for 55 and over communities in the area and get your questions answered on our Frequently Asked Questions regarding 55 and over communities. First let us discuss an overview of San Diego 55 plus communities. You may also want to listen and see these communities on our voice narrated tours of these communities on our San Diego County 55 plus video page. For those who are looking for 55 and over homes in Orange County visit our Orange County 55 plus video page here. Many who are looking for the best places to retire in San Diego 55 and over communities are fortunate since there is a large number (60 and counting!) of 55 and over communities spread throughout San Diego County. Jump to our list of San Diego 55 plus communities here. The diversity of the homes from luxury to affordable, within these 55-and-over communities allow many of these seniors to purchase their dream home for their active retirement years in a mild climate. You will find these 55 over communities in the following areas: North County (i.e. Oceanside with he largest number of 55 and over communities), Metro San Diego area (i.e. Rancho Bernardo and Del Sur), East County, and South County San Diego. At one end of this senior housing spectrum are single-family detached homes in active communities with a large array of amenities and social activities. Some even have their own private golf courses for residents who like to be active. At the other end of the spectrum are affordable manufactured and cheap mobile homes in land-leased senior parks, where the land is not purchased. In between, buyers will find newer manufactured homes, duplexes, condos, single family detached and a few custom built homes in ‘own your land’ resident-owned, gated adult communities. The inventory of San Diego senior parks and housing is mature, with most of the communities having been established in the 1970s and 1980s. Are there any San Diego 55 and over communities? The newest luxury community for active adults 55 and over in San Diego county is Auberge at Del Sur, which was built in 2017. There are new attached single level condos and two story homes with in-home elevators at Avante at Del Sur offered by Lennar in 2018. After that, you must rewind the clock over twenty years to find the next newest 55+ community to have been built in San Diego. Because of this all of the parks are fully built out and it is extremely rare to find an empty lot to place a new home upon. Due to existing property values when these 55+ communities were being planned, most senior parks with inexpensive homes were developed in North County San Diego and East County, away from the city of San Diego and the county’s more expensive beach communities. North County San Diego with its cheaper real estate was chosen most often for the sites of these senior homes. Buyers will find two main types of senior housing overarching this real estate segment – resident-owned and land-leased 55 and over communities. You may also sign up for property email notifications here. Where to retire in San Diego active adult communities where you own the land (resident owned) – click here. As the name implies, resident-owned means that home buyers purchase both the home and the land beneath it. These communities always have a monthly HOA obligation in the range of $10-$500 per month, dependent on the number and quality of amenities that the community offers to residents. These resident-owned communities are made up of mobile, manufactured and stick-built condos, duplexes and detached single family homes. Many who are active looking for where to retire in San Diego prefer to buy in the best places where they own the land the house sits on. Land-leased communities are made up of mobile and manufactured homes only. The ownership of the ground under the home is retained by the owners of the park, and buyers purchase just the home sitting atop of the lot, as personal property instead of real property. Because of this there is no annual property tax paid to the county. Nor, are there any monthly HOA fees to consider in these land-leased communities. However, there is always lot, or space rent obligations to be paid to the park’s owner. This space rent is in the range of $450-$2000 per month, depending on the location of the park. Generally, planned space rent increases are built into lease agreements. These homes are mostly sold for cash, as there is no collateral for lenders to fall back upon in the event of a loan default. Potential buyers in land-leased communities are also required to be approved by the park’s management before the purchase can be finalized. The parks’ managers verify credit scores and monthly income to ensure that the potential buyer is able to fulfill their space rent obligations. Typically they have a target baseline credit score that purchasers must be above, and many want to see buyers’ monthly income to be two to three times the monthly space rent valuation. Is This Home in a Resident-Owned or Land-Leased Community? It can be difficult for buyer to discern whether the subject property is located in a resident-owned or land-leased 55+ community when looking at home listings on-line. A general rule of thumb is to review the monthly HOA fees on MLS listings – remember all resident-owned 55+ communities have monthly HOA fees. If the listing displays a monthly HOA fee in the range of $130-$500, it is safe to consider that a resident-owned community. Conversely, if the monthly HOA fee shows as either $0 or $500 and up, it is safe to assume that it is a land-lease community. Note that this depends on the accuracy of the listing agents in inputting the data on their 55+ listings. Regardless of which of the two types of parks, all communities have multiple restrictions in place to keep the environment harmonious. The most common question regarding these restrictions pertain to pets. Every community has pet restrictions. In general, most communities allow for two pets in total, although some only allow one. For dogs, you can expect restrictions to be based upon the pet’s weight and also certain breeds – the ones most associated with being aggressive – can be restricted. A few communities, while allowing dogs, prohibit them from being walked within the confines of the park. Buyers who have pets are wise to call the HOA directly to discuss their current pet restrictions before getting too interested in the community. Each community has its own unique restrictions. Buyers can also expect restrictions on where cars may or may not be parked, how long people under the age 55 can ‘visit’ within the community – typically between 30-90 days per year, depending on the community – and a certain minimum age that a spouse or domestic partner can be if under age 55 – most parks’ guidelines have that age as 45. Again, buyers who have concerns are wise to call the HOA directly to discuss their current restrictions before falling in love with a home. With regards to mobile home, a very important year to remember is 1977 – the year that the Department of Housing and Urban Development (HUD) developed building codes for mobile homes. Homes constructed in, and after 1977 have these building codes in place. Any ‘mobile’ home built in 1977 or later is now considered as a manufactured home. Mobile homes built before 1977 – commonly known as pre-HUD homes can be more difficult to finance, often requiring a larger down-payment and a higher interest rate. A select few lenders offer loans for mobile and, or manufactured homes. Buyers should make their preferred lender aware of their intention to purchase a mobile or manufactured home early in the process. Seniors hoping to utilize their VA benefits in mobile or manufactured home parks should be aware that currently, the VA does not provide loans for homes in land-lease parks, or those in resident-owned parks where the land ownership is held as a co-op. Most homes sold in land-leased parks are cash transactions, because there is no real property being exchanged or held as collateral. San Diego has just one beachfront 55+ community – Solamar in Carlsbad. Solamar, a resident-owned 55+ community, is located just across the Pacific Coast Highway from the beach, which makes it highly sought after by seniors. Solamar is a small community of just 108 homes. Because of the small size of the community and also its prized location, homes rarely come onto the MLS for sale. When they do, the prices reflect the beachfront desirability. Quite often buyers ask if they can purchase and empty lot in a 55+ park to bring in a new manufactured home. As stated above, it is extremely rare to find an empty 55+ lot anywhere in San Diego county. What a buyer can find though is a home termed as a ‘pull out’. This is an older mobile home that has no useful life left in it, and is probably unsafe for habitation. A buyer would purchase the lot and the ‘pull out’ home. Then they would purchase a new manufactured home from a dealer, who would then remove the old home and install the newly purchased one in its place. This type of transaction has numerous hidden costs. A good rule of thumb is to double the purchase price of the new manufactured home, and this inflated price would cover the removal of the old home, the installation of the new home, permitting and hooking up to utilities. Add the original purchase price of the lot and “pull out” home to the doubled cost of the new manufactured home, and that will get you in the ballpark of what the total costs may look like. Not all of San Diego’s 55+ communities are cited as examples below so please be sure to contact us for more information or watch our video tours here to learn about all your options. You may also call 760-798-9024 or send us a message here. A prefabricated home, built in a factory and transported to the home site. A requirement is a wheeled-chassis permanently attached to a foundation… the main distinction between manufactured homes and modular homes. Examples of manufactured homes in San Diego 55+ communities include: Camino Hills in Carlsbad, CA (resident owned senior park), and Emerald Lake Village in Oceanside, CA (resident-owned gated community with cape-cod style detached homes). These are the most common 55+ homes found in San Diego. The term for prefabricated homes built before 1977, when the building code of the Dept. of Housing and Urban Development (HUD) went into effect, governing standards for factory-built homes and improving quality. Due to construction practices at that time, these may not qualify for some types of purchase loans. You may find examples of mobiles homes in resident owned San Diego 55+ communities at Casitas Del Amigos in San Marcos, CA and Casitas Del Sol in San Marcos, CA , El Camino Estates in Carlsbad, CA, Rancho Escondido in Escondido, CA (all resident owned parks where you have both pre-1977 mobile homes and after 1977 built manufactured homes). Duplex style or attached homes consisting of two attached housing units on two separate properties that share a common wall. They are even called “semi-detached”. Townhouse – full-sized, individual homes, built side-by-side typically in gated communities of tree-lined streets, sharing 1 or 2 walls with the neighboring unit, with amenities like pools, hot tubs and secure parking. Housing developments with similar style homes subdivided into individual lots, but with variations in size, style and floor plans, roofing, materials and garage size. These are massed produced, saving money on cost and therefore usually offering more attractive pricing. Find affordable retirement options for those looking for San Diego senior communities. The real estate included below includes places and neighborhoods where you can find age-qualified housing for those who are age 55 and over. From brand new senior living communities such as Auberge in Del Sur; beach senior living communities with ocean views such as Solamar in Carlsbad; those offering a wide of variety of activities such as Ocean Hills Country Club and Rancho Carlsbad (both guard gated 55+ communities); those with low homeowner association fees such as Peacock Hills, to senior living communities with their own private golf courses such as High Country Villas in Encinitas, Oaks North, and Ocean Hills; or the various affordable manufactured homes in senior communities with land ownership all over San Diego (also called resident owned communities), our team will help you identify the one that fits your lifestyle or active retirement goals best. Click here to view the latest homes for sale in San Diego 55+ retirement communities in San Diego. Need more information on senior living communities in San Diego California? Please call 760-798-9024 or send us a message here. Review and explore the links and information below to determine which senior community may be the best fit for you. Not seeing the information you want? Our Team is always available to guide you and answer any questions you may have about any of these active senior retirement communities. Orange County 55 and over communities provide plentiful newer housing stock and older homes in well established communities. Where to find 55 and over homes in Orange County? If you are looking for brand new 55 and over homes in Orange County, you will new homes available at Esencia in Rancho Mission Viejo. You will find socially active 55 and over communities such as Leisure World, Laguna Woods, Palmia, Casta Del Sol. Beach homes are available at The Terraces at Corona Del Mar, ocean view homes or homes near the beach at San Clemente 55 and over communities like Colony Cove, Bay Cliff Village. Golf course 55 and over homes in Talega Gallery at San Clemente and 55 and over condos are popular at Huntington Landmark. We are in the process of working on our Orange County 55 and over communities overview so please contact us for more information. In the meantime, please watch our video overview of Orange Count 55 plus communities here.